“Kingdom Hearts 3” is the final installment of the popular video game series, so gaming fans are hoping that they could get more of it through post-launch downloadable contents. Luckily, directors Tetsuya Nomura and Tai Yasue recently confirmed that it will be the case in the near future. DLCs can come in various types such as new characters and maps or new game modes that will provide other ways to experience the game. 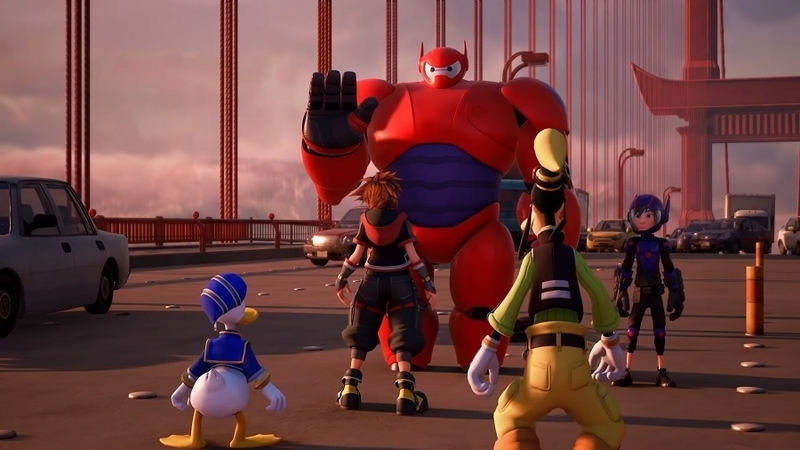 At this point, Nomura confirmed in an interview with Dengeki Online (via Kotaku) that “Kingdom Hearts 3” can soon be played in a more difficult setting through the addition of the Critical Mode. Yasue also confirmed the addition of Critical Mode to “Kingdom Hearts 3” at the ongoing Game Developers Conference. However, fans will have to wait a while before hearing a specific release date. "It's coming soon. We don't have any dates yet, but we really heard our players saying that they wanted a more difficult mode, so that was something we definitely wanted to address and we wanted to get it really right,” the co-director explained. Meanwhile, Nomura also confirmed that more DLCs are in the pipeline for “Kingdom Hearts 3” players. Aside from the Critical Mode, Nomura said, “Up to now, we’ve prepared a separate Final Mix package releases, but this time we’re thinking of doing the additional content as DLC.” He added that they are hoping to complete its development in 2019.